Could a great TV show about cars also be a good video game? Video games are a $45 billion-a-year market and the BBC plans on getting into that lucrative market with a Top Gear video game. The company plans on producing a series of games based off several popular TV shows. 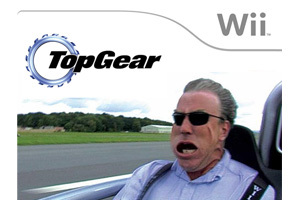 The Top Gear video game will most likely be on the Nintendo Wii and Nintendo DS, since they have the largest share of the video game market. Strangely enough, some outlets are reporting that a Facebook version of the game is also a possibility. While there is a chance a Top Gear game could be good, more than likely it’s just going to be a cheap cash-in. Television shows don’t translate well to other forms of media and especially video games. For example, the popular ABC show Lost was a terrible video game. The game was plagued by bad voice acting and terrible game play mechanics. Does the show’s “wacky” antics translate into a fun game? Probably not. What would be fun is racing wheel-to-wheel with The Stig around the famous Top Gear test track. The question remains, would you pay $49.99 to do so? If the game ends up being a generic arcade racer, then it might be worth buying it on the iPhone for $1.99. Even if you could ram Richard Hammond into a wall and watch his car explode, the game will probably still be bad. What could hold this game back is bad driving mechanics. Good car games take years to produce. The Top Gear video game is likely to be produced quickly and cheaply. The game might still be good, but looking at other TV-to-games, it’s probably going to be terrible. What would make this game perfect is to have Jeremy Clarkson yell obscenities as you raced around with stretched limo’s and at the same time trying to blow up a Toyota Hilux until it was unrecognizable. That just might work.